If you are in the market for a pair of quality sleep headphones, you have probably come across Bedphones and SleepPhones. They are both well loved by users, but completely different in terms of construction and design. This makes it particularly hard to choose between the two, as they are rather distinct products made for the same purpose. In this Bedphones Vs. SleepPhones comparison, we shall focus on the way they both satisfy the needs of the individuals they are designed for – people who want to go to sleep without listening to the sounds of their bedmates snoring or the noisy party next door. Both Bedphones and SleepPhones are comfortable to wear during sleep. However, the difference in the level of comfort they provide is big. Bedphones are not too uncomfortable, but if you are a side sleeper, they can cause soreness behind the ear. Also, it is not particularly pleasant to have the speaker pressed into your ear during sleep. They may be a good choice for people who never sleep on their side, but they are still not as comfy as we would like them to be. On the other hand, SleepPhones consist of a headband that is soft and pleasant and causes no discomfort, no matter what your sleeping position may be. They may even be the most comfortable headphones we have had the chance to test. Therefore, if you are looking for maximum comfort, we have to say that SleepPhones are more likely to make you happy. Regardless of which of these two sleep headphones you go with, you can generally enjoy a rather high sound quality. However, there is a tiny catch. While with SleepPhones, the quality of the sound remains unchanged in every sleeping position, with Bedphones, side sleepers have to deal with the unpleasant fact that the headphones are pressed into their ear, which results in both discomfort and poorer sound quality. In this aspect, there are no major differences. Both brands of sleep headphones perform as expected and allow you to hear only what you want to hear. Therefore, as far as soundproofing is concerned, both Bedphones and SleepPhones are excellent choices. Bedphones largely resemble ordinary headphones and their use is not limited to sleeping only. SleepPhones come in the form of a headband, so they can be worn at home, while jogging or wherever you would otherwise wear a headband as an accessory. You can also wear them as a sleep mask, which is a rather useful feature. The company even offers RunPhones that are particularly designed for running and fitness and TellyPhones that are designed to let you listen to TV programs wirelessly, so you do not disturb your partner while sleeping. While Bedphones are as versatile as any other headphones, SleepPhones may have even more amazing potential uses. With Bedphones, you do not have many options to choose from apart from corded and cordless and various generations of these headphones. With SleepPhones, you can choose from as many as 10 options, including but not limited to corded, wireless, Bluetooth-enabled, microphone-equipped, and the previously mentioned TellyPhones and RunPhones. 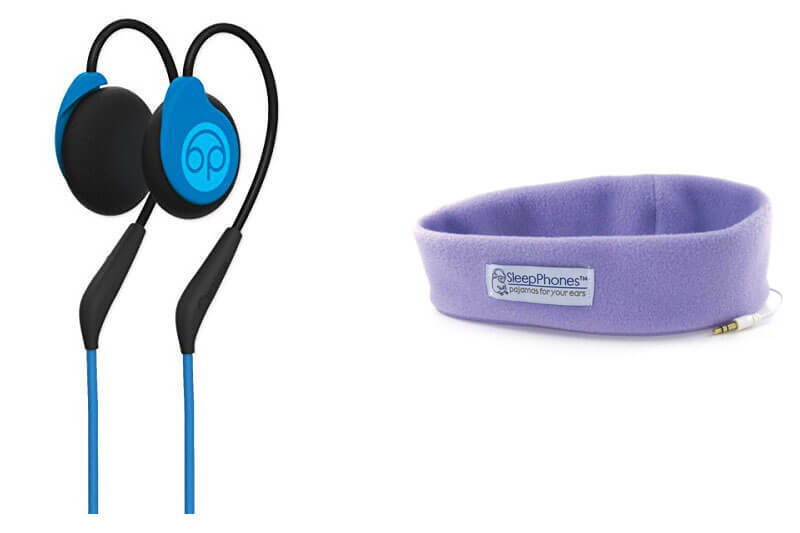 We hope that this Bedphones Vs. SleepPhones comparison has helped you decide which of these two brands of sleep headphones is the right choice for you. They are both high-quality soundproofing solutions and boast a variety of useful features. Finally, it all boils down to what you personally expect from the device. However, if we are to speak in general terms, we would have to say that SleepPhones are better at satisfying the needs of most users. Want to find out even more about SleepPhones? Make sure to check out our SleepPhones Review for detailed information about this VPN provider.